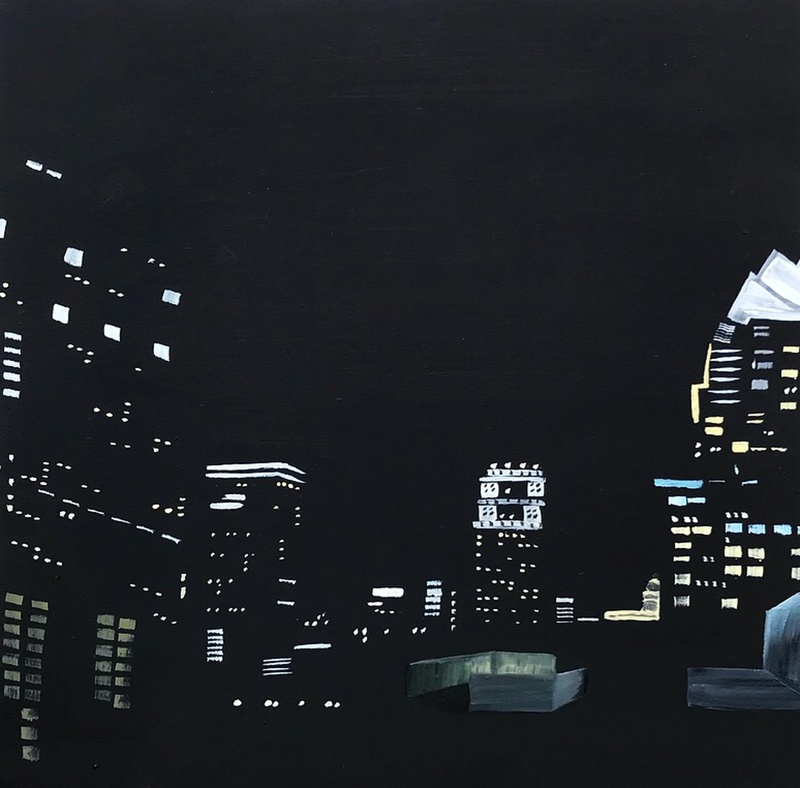 Inspiration: This painting was inspired by the evolving skyline of Downtown Austin seen at night. Get to Know the Austin Artist: Kristin Moore is an oil painter from Texas who spent some time living in California studying art. Moore spent a lot of time traveling by air and car between Texas and California between 2014-2016. Her work is directly inspired by the ever-changing skylines and horizons from Los Angeles, Marfa, Austin and beyond.